1940. 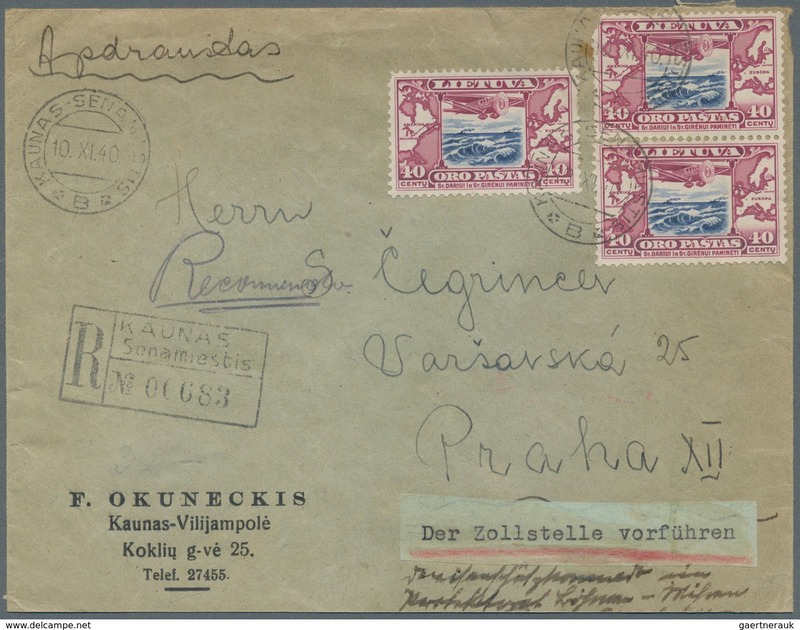 Registered letter to PRAGUE franked 40c dull blue and lilac-carmine (Michel 386, single and vertical pair, top stamp missing corner), of 1934 Airmails, tied by two “KAUNAS – SENAMIESIS, 10.XI.40”, an additional strike, provisional boxed “R” and “Der Zollstelle vorführen” provisional label alongside. 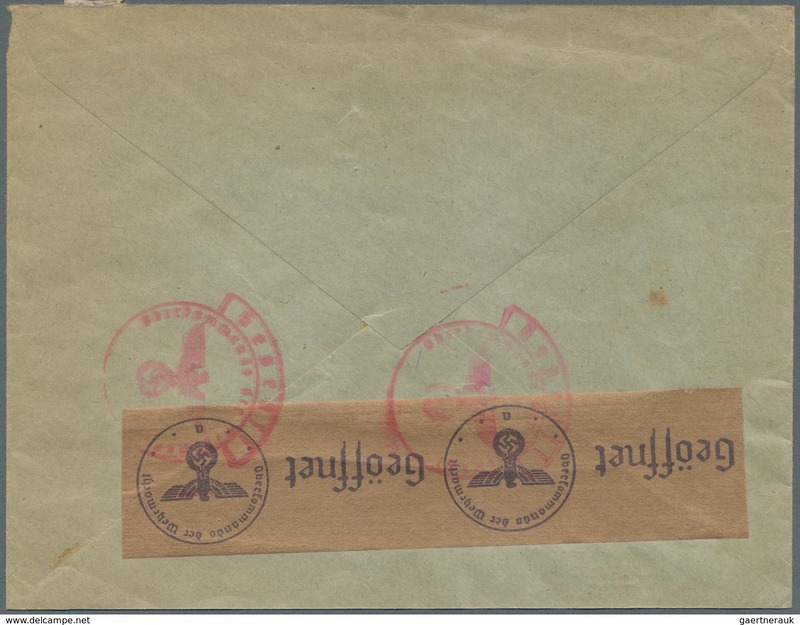 Opened by German censors, resealed with brown “Geöffnet” tape, tied by two large “Geprüft” cachets in red.